Kansas Deer Hunting & Turkey Hunting at its Best! Come enjoy the Beauty of Kansas Outdoors! 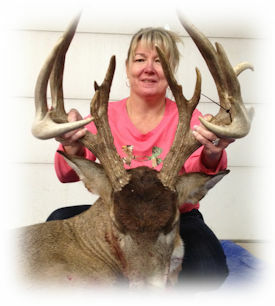 As most deer hunters know, Kansas produces some of the biggest Trophy Whitetail Deer in the nation. 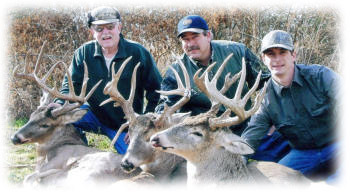 We are happy to offer you the opportunity to harvest one of these Kansas trophy whitetail deer on your next Kansas Deer Hunting trip. After years of providing fully guided kansas deer and turkey hunts, we have recently changed to only offering self-guided hunts. You will be provided with the same awesome, productive ground complete with stands. Upon arrival I will personally take you to each property with aerials I have prepared and give you my advice on how to effectively hunt each property. Calling in a big tom turkey can be as easy as falling off a log one time, and the next turkey seems to need hearing aids. 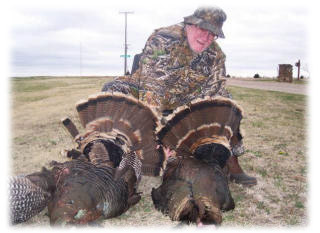 Our turkey hunting slots fill up fast, so book early as you don't want to miss out on a Kansas Turkey Hunting opportunity. 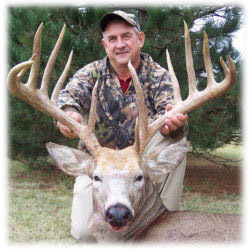 We have the Kansas trophy deer hunt, that all sportsman dream about. 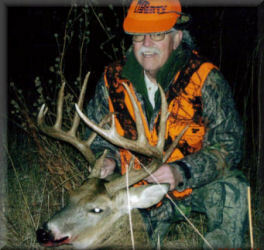 Book Early to save a spot on a Trophy Deer Hunt or Turkey Hunt. Hunters have visited this site! Come back and see us.